Spencer Group constructed a substation for E.ON Energy, including two feeders to connect to National Grids GIS substation and cable circuits. The project was located 8km east of the Yorkshire coast, near the Humber Estuary. 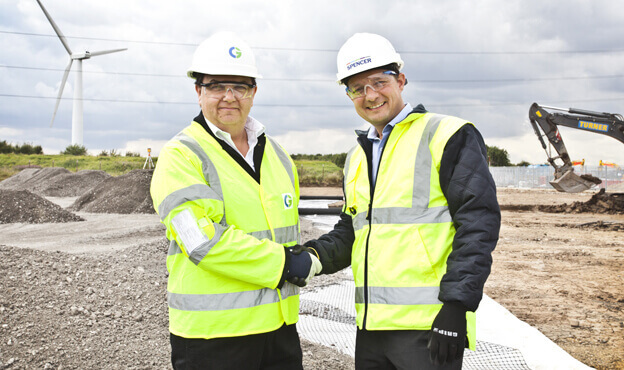 CG Power Solutions UK Ltd were the Principle Contractor for the works, utilising Spencer’s expertise for the associated civil engineering works. 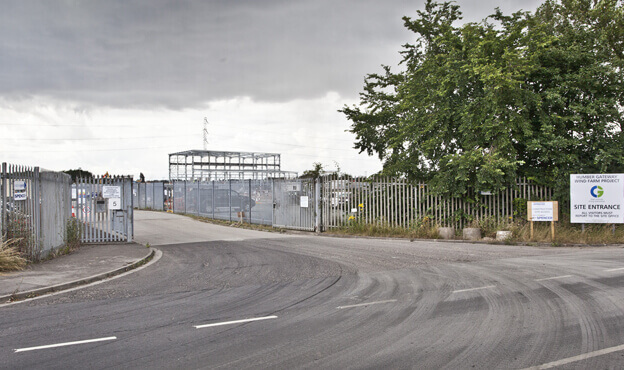 Spencer Group were responsible for all civil engineering works on site to enable the construction of two new substations and connecting feeders for E.ON Energy. 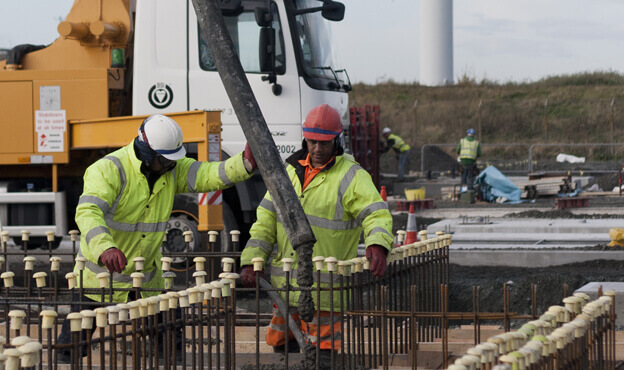 We were also accountable for all the necessary piling foundations, tarmac access roads in and around the site, bunds, and transformer systems/switchgear. One of the main challenges faced within this project was maintaining close relations and communication with CG Power Solutions, E.ON Climate and National Grid to coordinate each stage of work. The substation contains 2 No 275kv/132kv transformers and associated switchgear, plus a 33kv network fed off each SGT tertiary winding to feed static compensation and filter equipment via a 33kv GIS switchboard. It was imperative that Spencer Group completed all their works on time and to budget to enable CG Power Solutions to progress with their works as Principal Contractor of the job. This required careful planning and frequent meetings between the Spencer Group civil engineering team and CG Power Solutions, E.ON Climate and National Grid, to closely coordinate each stage of the project and ensure all setbacks and clashes were avoided. Thanks to the project management expertise of the Spencer planning and design teams, this was successfully achieved and all key milestones were met on time and to budget without any conflicts.